Although I reside firmly in the camp of those who believe in gift giving throughout the year, right about now I acknowledge that many many people are looking for gifts, for many price points and for many different types of people. Some think that Apple’s hardware and software offerings would be perfect gifts, but only for technophiles, geeks or creative professionals. In actual fact Apple has many many gift ideas for every family member: man, woman, child, grandma, aunt or cousin. Beyond the Apple Store, beyond the gorgeous MacBooks, iMacs and iPad minis, there’s plenty to discover on the Apple platforms. 1. Apps for the Mac or for your friends’ and family iOS devices: in the iTunes Store, on the app page, click on the drop down and select “Gift this App”. Since app prices range from inexpensive to pricey, there’s something for every budget. 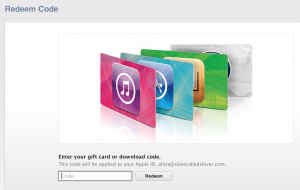 If you don’t know which app to get, choose a gift card, which can be mailed or printed. 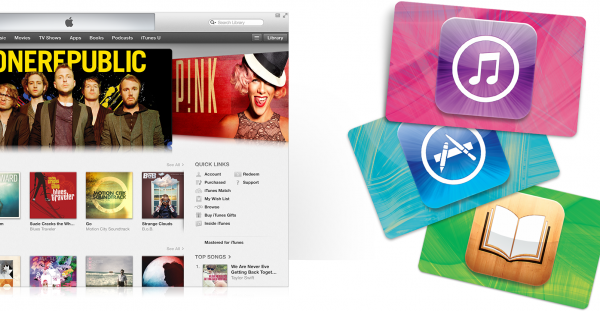 Gifting apps for the Mac can be done via Gift Card – which can be redeemed in the Store. 2. Music: everybody loves music. And the iTunes Store has (almost) everything. 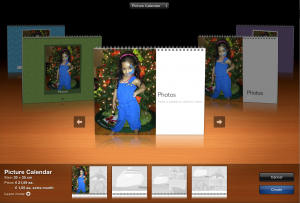 And your options are manifold – you can give albums, playlists or videos. Again gift cards are a great here if you are hesitant about the taste of the receiver. 3. Movies: Apple makes it easy to gift movies from the iTunes Store. Make your choice and right click to confirm “Gift This Movie”. 4. 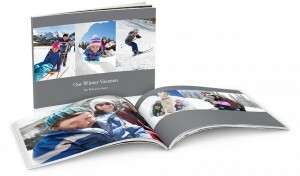 Photo books, calendars, letterpress cards: using iPhoto you can create hard copies of favourite memories. Isn’t this great for parents or grandparents? It’s personal and not at all costly. Learn more here. 5. 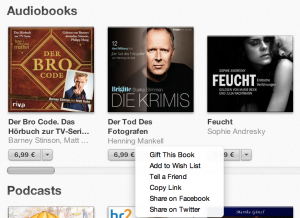 Audiobooks and eBooks: choose your title to gift an audiobook or purchase a Gift Card for eBooks on the iTunes Store. There you have it. You’re bound to find something on this list. And if you haven’t, check out the Holiday Gift Guide from Apple, designed to weaken your disciplined resistance! Tell us about your fave way to give gifts from Apple in the comments. afford iMacs, iPads or iPhones. Are you a noob or something?